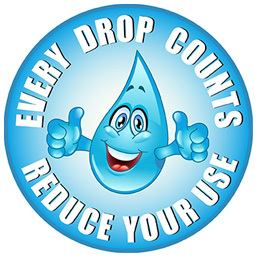 Water customers are allowed to pick up various indoor and outdoor water conservation items. These are available at our front customer service counter at 1650 Stanton Drive, Shasta Lake, CA 96019. Proof of water service is required at time of pick up. Water customers can schedule an appointment for Free Water Audits, Leak Detection, and Landscape Surveys. To inquire about these services, please contact our customer service department at (530) 275-7400. To schedule an appointment, please contact Efficiency Services Group at 855-516-2105. This site, published by the California Urban Water Conservation Council, includes the top 5 ways to reduce water use around your home. There is also a link to user-friendly tools and landscape templates. Additional resources (links) for more ways to save water. These websites provide water conservation ideas and informational articles. Provides educational information and links to water-related resources. Includes educational materials for school programs. 1. Water shall be used for beneficial uses only; all unnecessary and wasteful uses of water shall be prohibited. 2. Water from landscape irrigation shall be confined to the consumer's property and shall not be allowed to run off to adjoining property or to the roadside ditch or gutter. 3. Water shall not be used for washing cars, boats, trailers, or other vehicles by hose without a shutoff nozzle and bucket, except to wash such vehicles at commercial or fleet vehicle washing facilities. 4. Water shall not be used to wash buildings, structures, sidewalks, walkways, driveways, parking lots, open ground or other hard surfaced areas except where necessary for public health or safety. 5. Free-flowing hoses for any use shall be prohibited. Customers shall use automatic shutoff devices on any hose or filling apparatus. 6. Faulty sprinklers and/or breaks within the customer’s plumbing system shall be repaired within twenty-four (24) hours after the customer is notified or discovers the break. 7. All wading/portable pools and spas shall be equipped with a recirculating pump, and shall be constructed to be leak-proof. Swimming pool/spa covers are encouraged to prevent evaporative water loss. 8. Irrigated landscaped areas shall include efficient irrigation systems (e.g., drip irrigation systems, timed sprinklers, rain sensors, low-flow spray heads, etc.). 9. All new development shall be required to install low flow devices (i.e., toilets and shower heads) pursuant to California Building Code standards. 10. Restaurant customers shall receive water only upon request. For the first and second violations, the City will issue a warning. Subsequent violations within a 12-month period shall be: $100 for third violation; $200 for fourth violation; $500 for fifth and subsequent violations. The amount of the penalties will be added to the customer's utility bill. Customers may apply for a hardship variance from any of the water use restrictions in unique circumstances. If you notice a neighbor violating the water use restrictions, it may be because they are not aware of the restrictions. Please help the City and your neighbor by letting them know about the new restrictions.